So, what are the scientifically proven results of intermittent fasting to lose weight? It seems like a lot of studies around the world are being done on laboratory mice – usually a sign that human testing will follow soon. Mice, surprisingly, have a genome that is 95% similar to humans, also they have accelerated life spans so one mouse year is equivalent to 30 human years, allowing researchers to quickly discover what long term effects of certain therapies will be. Of course animal testing is a very controversial issue in itself, but the mice in these specific tests were not harmed. They were only fed, made to fast and subjected to minor stress, not unlike the Eat Stop Eat diet really :). In one study they were genetically engineered but they did not suffer from this as they gained longevity. If their contribution can help millions of people overcome obesity, obesity related diseases, cancer and neureodegenerative diseases, and since the mice aren’t really being harmed, then perhaps these laboratory tests serve a greater purpose. IGF-One is short for “Insulin-like Growth Factor”, it is similar to HGH, Human Growth Factor, but it is produced in the liver instead of in the pituitary gland. It is actually heathy for IGF-One levels to decrease with age as this spurs the body to repair old cells rather than to create new ones. It has been noted that people affected with Laron syndrome (low IGF-One levels) do not incurr in cancer and diabetes, two common diseases for people with normal IGF-One levels. Mice, genetically engineered to have low IGF-One levels, lived 40% longer than the control group, the equivalent to a human living to 120 years of age. In the primitive state, man was forced to do short bouts of intense (anabolic) exercise whilst in a fasted state. Today our body still reacts positively to this type of stimultation. A study published by the American Society for Nutritional Sciences showed that laboratory mice who were made to fast responded better to stress factors such as immobilization or swimming. Heart rate and blood pressure were measure via radiotelemetry. The adult mice were kept on an intermittent fast for 6 months, whilst the control group was allowed to eat freely. Also corticosterone and epinephrine levels were measured. Levels of the stress hormones did not increase significantly in the fasting mice whilst they increased significantly in the control group. A study on mice by the Neurosciences faculty of the Universty Pablo de Olavide in Spain shows how long term fasted mice had better memory and learning abilities than the control group. Basically the long-term synaptic plasticity in the hippocampus was facilitated. The hippocampus is important specifically for long-term memory, short-term memory and spatial navigation. In Alzheimer’s disease, the hippocamus is the first area of the brain that suffers, causing memory loss and disorientation. 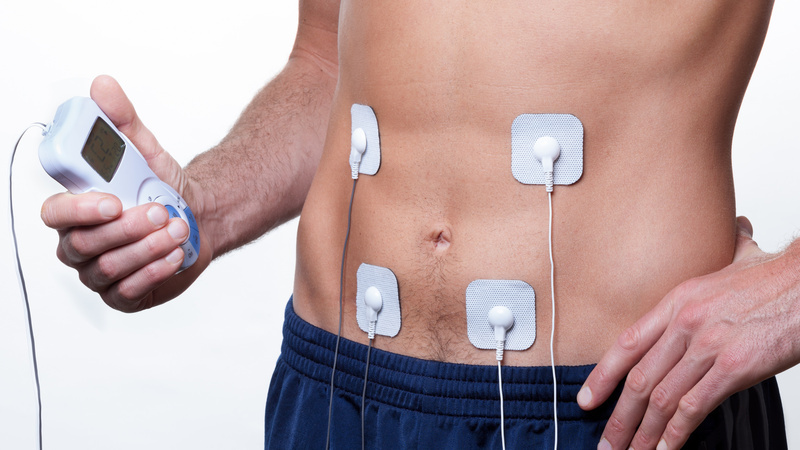 In the human testing published on the peer-reviewed Journal of Physiology, there were three groups. Group (A) did set exercises eating normally, while group (B) did the same exercises but whilst fasting, and the third group (C) did no exercise but ate the same as group A. Test were done thoughout the week on glucose tolerance, insulin sensitivity, metabolic enzymes and maximal fat oxidation rate. The B group, that exercised in a fasted state, obtained better results on all tests than the A group. The control group, C, did not record any variation in results. Another interesting point to the study is that these groups were then all overfed for a number of days subsequent to the initial testing. The B group did not record any weight gain as an effect, even though the other groups did. Possibly fasted training betters a person’s glucose tolerance to the point that they are able eat high calorie and high fat diets for brief periods of time without absorbing unnecessary calories. Brad Pilon’s Eat Stop Eat diet program covers all the “nuts and bolts” of effective fasting and also provides useful medical information. 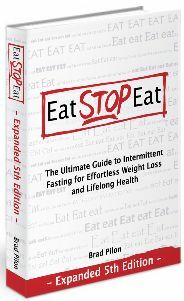 While there are other books available on intermittent fasting, Eat Stop Eat results are well documented, and in our opinion his specific method is the most suited to athletes. Brad Pilon has an Honours Degree in Nutrition, 10 years experience in the food supplements industry and is an amateur bodybuilding awards winner.